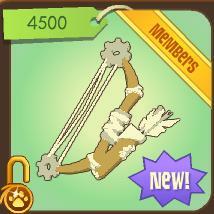 There's a new Golden version of the item Bow and Arrows! You can find it in Epic Wonders! Hopefully there will be a silver one for non members!